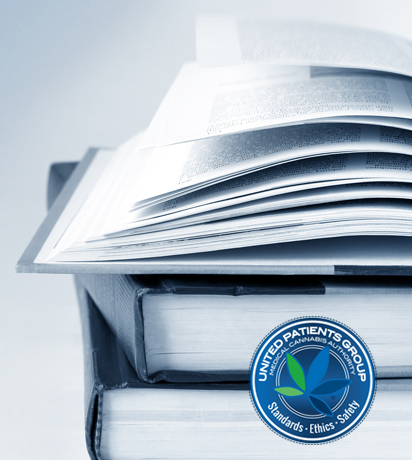 The United Patients Group Seal of Approval is available to a full spectrum of professionals and products in the medicinal cannabis field. The following descriptions outline various Categories and summarize core competencies that are found in evaluation criteria for each. Note – UPG Membership required for all Seal of Approval applicants. Processing – Commercial Kitchen? Gluten Free compliant? Consistency – Patient and Staff reviews? If a product is too small to accommodate all nutritional facts, an insert with contents, nutritional facts, formulation, dosing and warnings should be added to the selling of this product. Usage reviews – Durable? Assembly? How efficient is the device? Routinely considers cannabinoid approaches to augment treatment plans when providing patient care and/or offering medicinal guidance to individuals and families, when indicated. Range of products – including medical – Oils, Tinctures, Topical, Sprays, Suppositories. Many Labs will report higher reads for preferred clients. We need to come up with a way to combat this. Many Labs used outdated results. The above bullet folds into consistency.